In 1985, when the term IoT (Internet of Things) was first coined, few would have thought it would pave the path for a smart city where not just people but also non-living things would be connected to the Internet and each other. The demand for smart cities will go up in the coming future, believes McKinsey. It claims that two-thirds of the global population would be living in the cities. Interestingly, to support the growing population, cities would require a more organized and agile infrastructure. Fortunately, IoT has the potential to achieve the dream. Here is how smart cities and IoT will change the lifestyle of people and transform the communities. Management and monitoring of electricity and water supplies can be improved with the Internet of Things as all related essential equipment or tools stay connected to the central server system. Hence, it becomes easier for the service providers to keep a track on the availability of services to consumers and businesses and provide a timely resolution to them against any raised complaints. IoT helps in building a centralized database of schools, teachers, students and regulators and, most importantly, it establishes a real-time communication between all stakeholders. Thus, IoT will complement eLearning strategy and make education more accessible, and educators and regulators more empowered and the states more accountable as people can monitor their acts. The Midas touch of IoT can be felt in the healthcare system. It’s driving the quality of engagement and care offered to OPD and admitted patients. Tagging wheelchairs, scales, defibrillators, nebulizers, or monitoring equipment with sensors, it would be easier for the supporting staff like nurses and attendants to take care of the patients. Harnessing the power of the Internet of Things, it’s has become easier for power generators, distributors and consumers to plug the leakage of power and improve the efficiency of equipment that is in use. Thus, meticulous and prudent use of IoT can help in improving the delivery of services keeping carbon emission at low. Internet of Things has the power to magical power to transform the systems connected with our lives. Establishing an IoT ecosystem has become a lot easier with the availability of IoT platforms like IBM Watson, AT&T IoT Platform, AWS IoT, to name a few. However, IoT means empowering users with more control, and that can’t be done without the right IoT application. 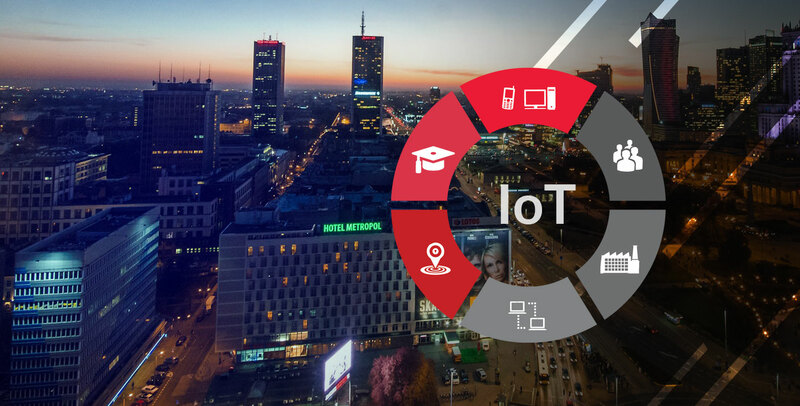 Here, comes the role of an experienced IoT application development company.